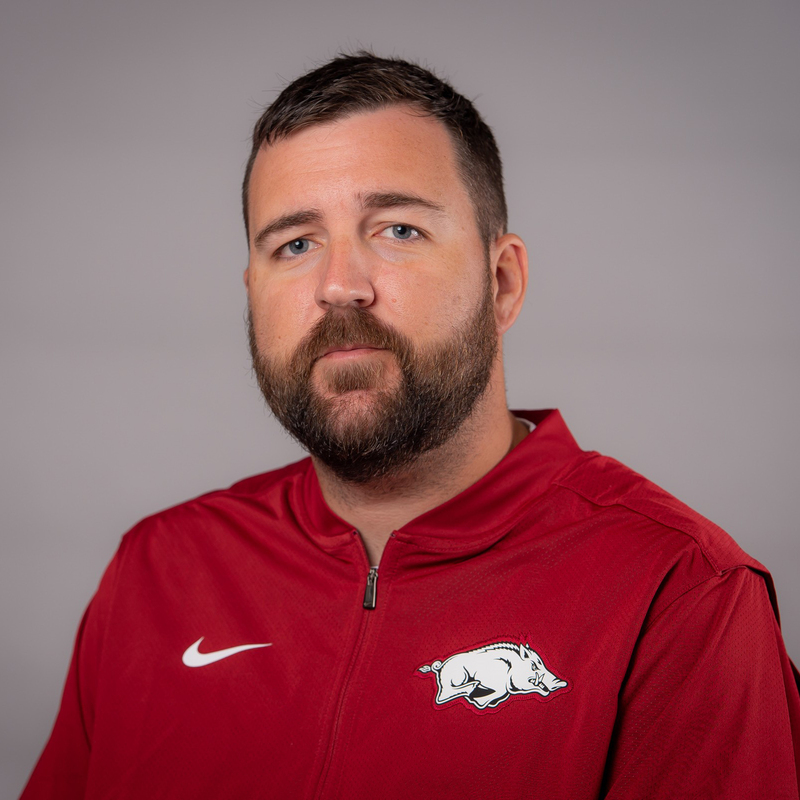 Jake Rosch is in his fifth season as Arkansas’ Director of Football Equipment Operations. Rosch is responsible for all of Arkansas’ equipment needs, including fitting, ordering, maintaining, laundering and inventory. One of the athletic department’s key Nike liaisons, Rosch is responsible for maintaining the football equipment budget. Rosch’s duties also extend to game-day logistics for home and away games, highlighted by postseason competition. Since arriving at Arkansas, Rosch has organized trips to the 2014 Texas Bowl, 2016 Liberty Bowl and 2016 Belk Bowl. During the 2014 season, Rosch helped re-introduce Arkansas’ 1964 uniforms to help celebrate the 50th anniversary of Arkansas’ National Championship . In 2017, Rosch helped create a Arkansas Razorback-Dallas Cowboys crossover uniform to Honor Arkansas Letter winner and Alum Jerry Jones’ induction to the Pro Football Hall of Fame. Prior to Arkansas, Rosch spent three years at Iowa State as the Assistant Director of Equipment and two years at the University of California (Berkeley) as the Head of Football Equipment operations, where he helped the athletic department and Nike successfully partner to produce a complete re-brand. He began his career in the equipment industry as a student manager at Iowa State University. He is a certified member of the Athletic Equipment Managers Association (since 2009) and is an active member on the AEMA Certification Steering Committee. A native of Hartland, Wisconsin, Rosch graduated from Iowa State University with a degree in Criminology. He and his wife, Megan, met as undergraduate student managers at Iowa State and have one daughter, Elizabeth.